For those of you who not only want to walk in a countryside that just exudes peace, calmness and tranquility but want to experience something of what this land has to offer – its wines. Vines have been grown here for centuries – the grape rules the hearts of the local people. You will stay in a converted manor house and a typical village house both have been restored to offer comfortable accommodation to guests. 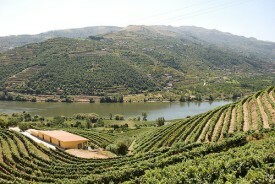 You will also be able to see the Douro valley from the water as we also offer you a fabulous boat trip up stream. Day 1. Arrival at Pinhao where you will met and taken to your accommodation in Vilarinho de Sao Romao. Day 2. A circular walk in the Pinhao valley passing through the village of Celeiros. 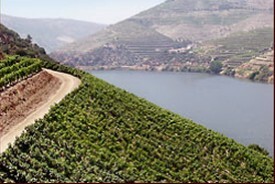 Your walk takes you through the vineyards of the Alto Douro, a UNESCO heritage area,16km – overnight Vilarinho. Day 3 An easy walk on the west side of the Pinhao valley visiting several tiny hamlets that are so typical of the region and if you prefer a longer stretch of the legs then you can continue to the town of Sabrosa home of the world explorere Magellan, 12km or 17km – overnight Vilarinho. Day 4 Today you walk to the village of Provosende but first you climb up to the tiny chapel of Sao Domingos perched high abover the Douro and then its downhill to Provosende, 12km – overnight Provosende. Day 5 A transfer north west to the large village of Sao Martinho de Antas where you walk northwards through a variety of landscapes, pass ancient Moorish tombs and a 2,500BC burial chamber, 13km – overnight Provosende. Day 6. Today you climb up through the vineyards and tiny villages high above the river with some amazing views it is just fabulous, and then down to Pinhao for a boat ride, 14km – overnight Provosende. Day 7. Transfer after breakfast to the train station at Pinhao or bus station of Vila Real.